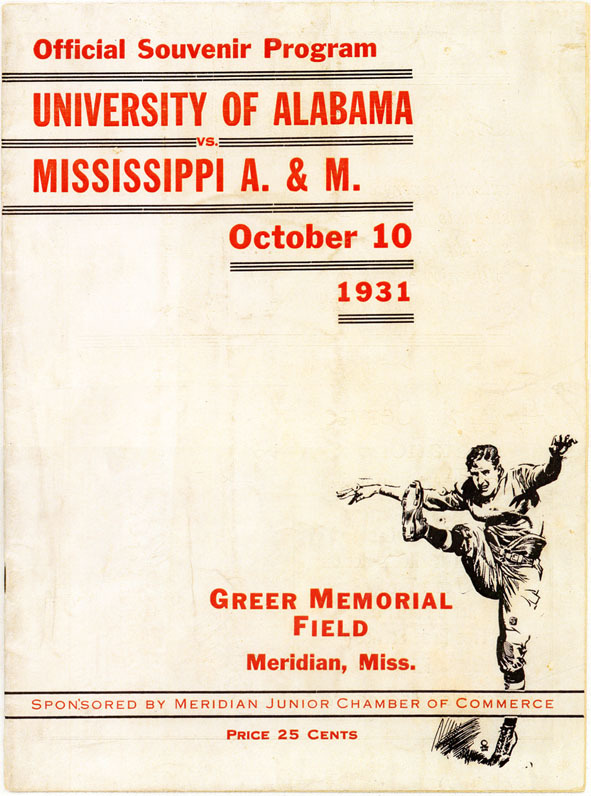 The souvenir program for the Alabama vs Mississippi State (then Miss. A&M) game of 1931. The Tide, under first year head coach Frank Thomas, defeated the Maroons 53-0. The game was so one-sided that Alabama's first team, including dual scoring threat of Leon Long and Hillman Holley, only played for the first quarter. 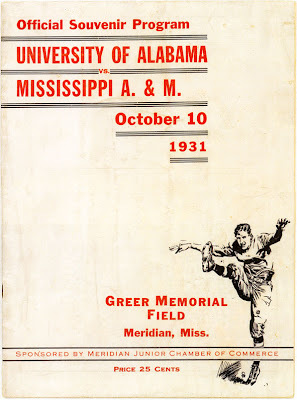 It was the Tide's second and last trip to play in Meridian, Mississippi (the first was in 1926).